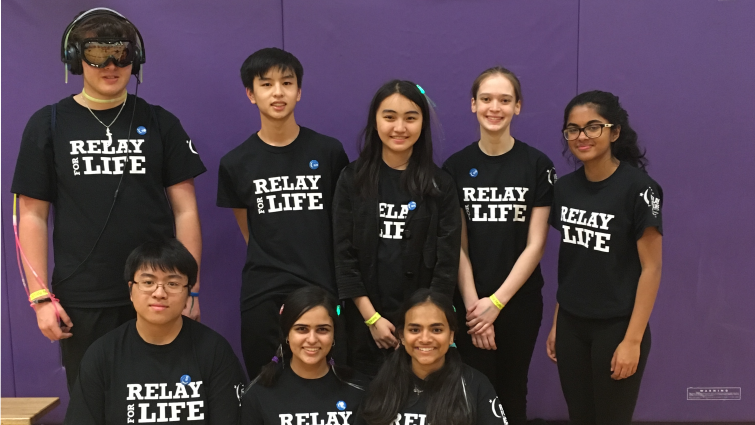 Last week several RoboRavens had the privilege of attending the Relay for Life event that was held at our school! The event was in support of cancer research, where each individual attending was to fundraise $100 each by canvasing their neighbourhood, asking friends and family to donate, running bake sales and more. This gave us the experience of giving back to our community and giving support through Cancer Month. Our robotics members pitched tents in the gymnasium where they set up sleeping bags and decorated their tents. The gym was decorated with balloons, streamers, colours, and equipped with very loud speakers. The team attended school karaoke in our auditorium, an escape room set up in a classroom, as well as a dance and musical chairs. These activities lasted the majority of the day, and at the end, we had heartbreaking and inspiring speeches by cancer survivors and outstanding performances from students of our own. There were singers, dancers, as well as speeches about the challenges cancer causes. A videos presented how children are affected just as greatly by the disease, which really opened our eyes to the problems people face in society. We also attended the luminary ceremony where everyone walked around the auditorium in a moment of silence as they read messages of people relaying for loved ones, lost ones, and for cancer to end. As the day came to a close, the hosts announced the best group, the highest donation collector and the overall amount fundraised that year, over $45,000! As a collective group, the robotics team raised over $2,000! We then walked around the gym, one last time, which was led by two cancer survivors and an 11 year old girl. It was a united event, and was loved by many. The Relay for Life hosts did a fabulous job organizing the event! With their spirit and integrity as well as determination they all made this event is one of the highlights of our year! If you haven't already heard, @Carleton_U will be hosting a brand-new FIRST Robotics Competition District Event in March 2020! To explain why we're so excited, check out this video from our 2018/19 President, Anthony Caliciuri!